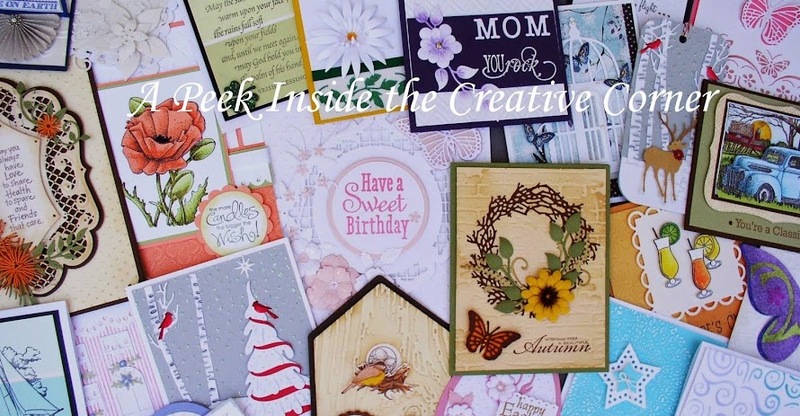 A Peek Inside The Creative Corner: Sherry's Coming this Saturday! Boy does time fly!!! 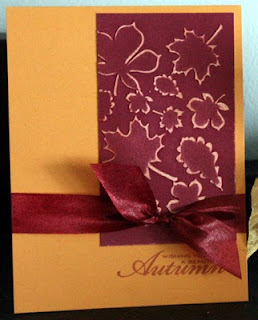 And so, this Saturday, October 30th, Sherry will be here again. 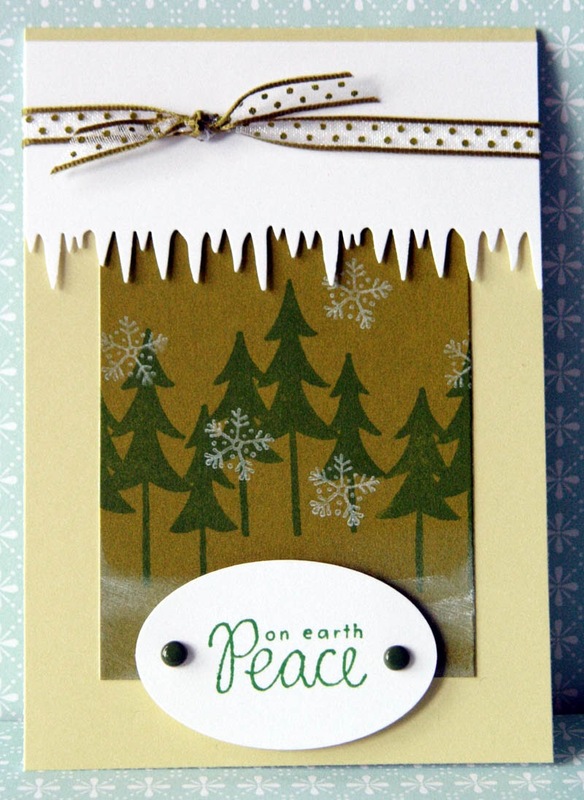 Here is just a sample of what you can make in either the Fall Cards or Christmas Cards class. 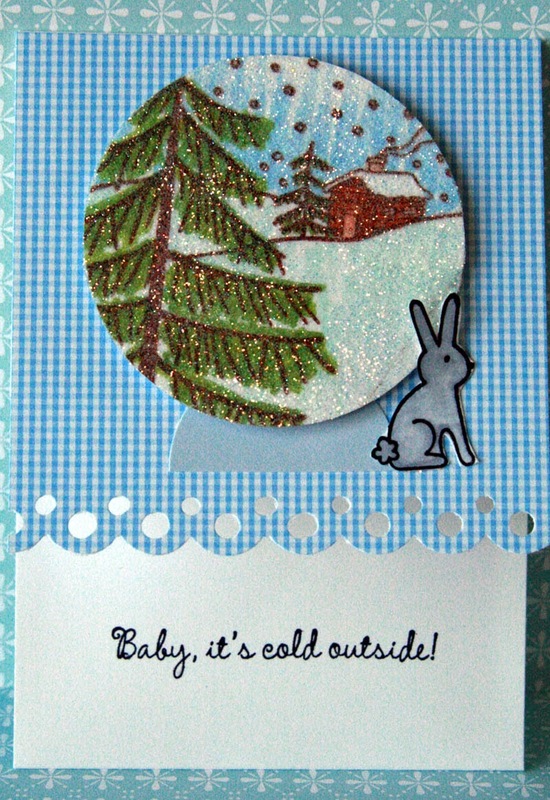 Oh, I just love the glitter on this first card! 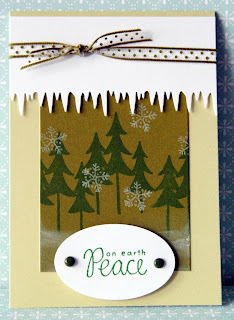 And here's a really nice way of using the icicles border punch. 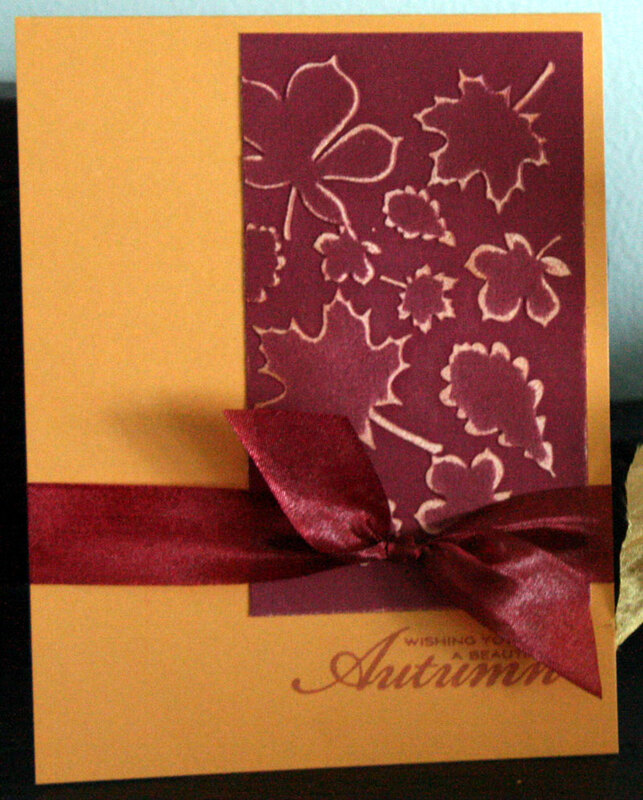 Isn't this just a perfect Thanksgiving Day card? Hope you can join us! You'll be able to get lots of ideas for your holiday cards and, of course have lots of fun doing so!